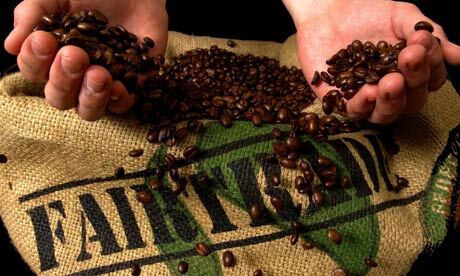 I had planned to write a column today espousing the value of Fairtrade coffee. I was going to fill the page with encouraging words to invite you to make a conscientious choice when buying your next flat white. Then I thought about Lip readers, and decided against it. I don’t need to convince you to buy Fairtrade coffee, right? Buying Faitrade is one of the easiest things you can do to redress the inequality of the global supply chain. If your regular cafe doesn’t serve Fairtrade (or another reputable ethical certification), go to another cafe. Even better, ask them to switch. If they tell you Fairtrade beans are more expensive, point out that the cost of a caffé latte is influenced by many factors – you can easily find a good Fairtrade coffee for the same price or less than an unfair one. If they tell you Fairtrade coffee doesn’t taste as good, remind them that Fairtrade has come a long way since the 1990s and that some of the best coffee in Melbourne is Fairtrade certified or at least consciously grown and purchased. If they don’t take seriously the impact of their business on the lives of poor farmers and workers in the developing world, go to another cafe. If you’re like me and not a huge fan of confrontation, write them a note, or use social media to inquire about the origins of their coffee beans. The thing about coffee is that it embodies so perfectly the inequity of global trade. I pay three or four dollars for a lovingly-curated coffee experience each morning, noting whether it was too hot, too cold, too bitter, too weak or myriad other sins. The barista invests skill and passion into the creation of my drink and can tell me more about the history of the beans than I know about some members of my extended family. Often, at the other end of the supply chain is a farmer who struggles in the way that so many food producers struggle against the vagaries of nature, insecure environments, corruption, illness, competition against mega farmers with access to more advanced farming techniques. The farmer also struggles against powerful buyers who do whatever they can to reduce the price they pay for a product. Also part of this system is low-paid workers, harvesting and packaging beans for shipping to distant lands. The other thing about coffee is that all of the above is so well known and efforts to address those problems are all over the place. Fairtrade and other ethical certification systems aim to address the injustices of conventional trade, which traditionally discriminates against the poorest, weakest producers. How effective these efforts are is debated in the industry and by academics, but for my money the evidence favours Fairtrade. So I will hedge my bets and make sure my coffee is certified. It’s too easy. I mean that literally. It’s too easy to choose the more ethical option, so there is no reason not to. Don’t pat yourself on the back for buying Fairtrade — just buy it in the same way that you buy dolphin-free tuna. In my job, I just spent the last year ushering in a system whereby the organisation I work for has committed to using Fairtrade products more often. My colleagues and I avoid telling people they have to buy Fairtrade coffee; we just make it easier for them to do it, and convince them that it’s a good idea. Here, on these pages, I don’t have to be so diplomatic. If you don’t know where your coffee beans are coming from, find out. It’s just too easy. It’s annoying isn’t it. When Fairtrade is an ‘option’ I can’t help but imagine some stale old beans sitting in the corner. Cafes are getting the credit for Fairtrade (with the requisite sticker on the window) but aren’t actually walking the talk.